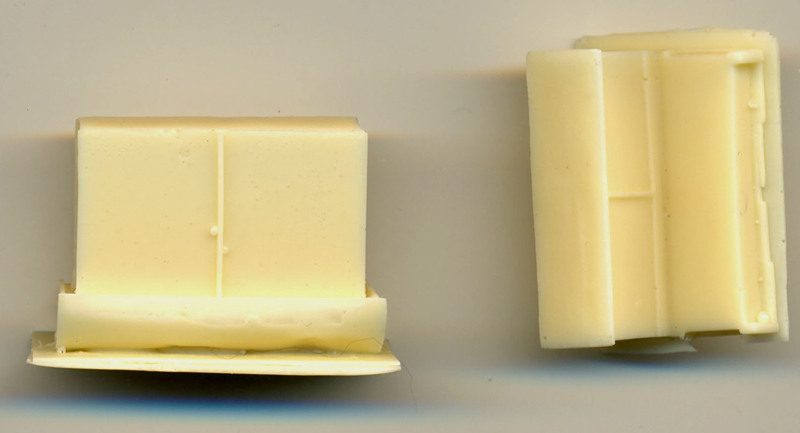 This set is meant as a detailing set for Shermans participating in operation Husky, i.e. the landing on Sicily, July 1943. 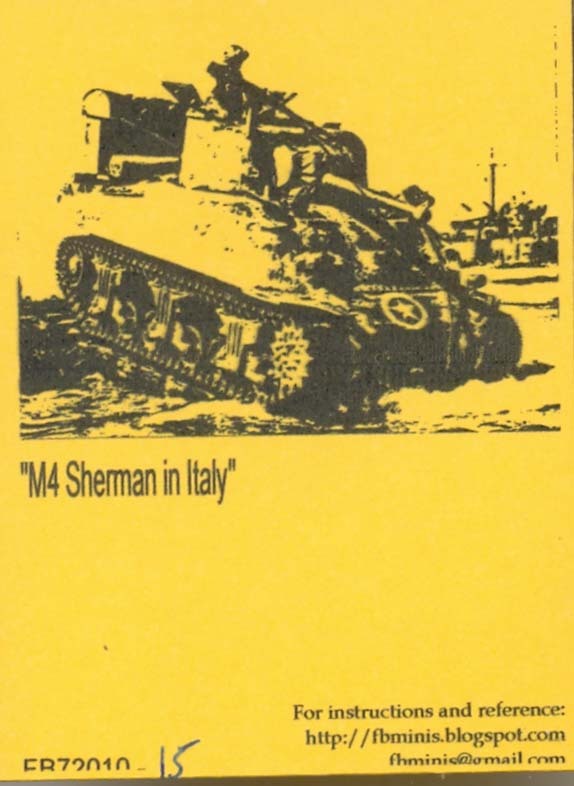 Basing myself on the picture on the small leaflet within the bag, this set (or at least the wading stack) would go best on an early M4A1, for which the Dragon M4A1 Sherman Normandy kit would be a good start. (Many thanks to Doug Chaltry for the research on this.) I am not sure, but it is possible other Sherman types used this equipment as well. The set contains a two part assembly for the rear wading stack and some sundry accessories: spare wheels (solid dish type), spare tracks (which looks like T48 to me), a liquor botlle in wicker basket and a part with a row of jerry cans and supplies. No manual is provided, so you have to turn to the FBMinis blog for more details. Based on the pictures found there it seems the parts can be split up to enhance multiple vehicles and is thus more than just a "deep wading set". Casting quality is good, with a rare air bubble in places and some work to clean up flash/molding carrots.